It's not often that I do anything with people from this part of the country. They're not normally associated with my channels, but from time to time things happen, slip through, and here we are. I can't say I normally listen to music with banjos. Gleaves though isn't like the normal kinds of folks that most Americans would expect from this part of our country. He's gay and makes no bones about it. This album is wholly traditional Appalachian music from start to finish. The closest thing to offputting about this album is it's complete lack of percussion. 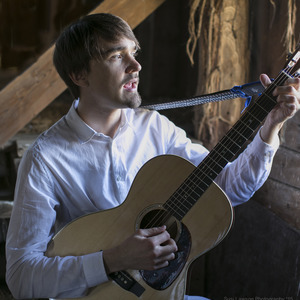 There's only Gleaves's voice, whichever stringed instrument he's playing, and often times someone accompanying him musically. He routinely plays an acoustic guitar or a banjo. His picking is flawless and it's bolstered by a spectacular production job. It sounds like you're in the room with Gleaves when you listen to the tracks. The vocals on this album range from full twang, to partial twang, to no twang, but always in full force is the emotion behind the words. Without the forcefulness of his vocals, this album would most likely fall flat. His singing is his greatest strength, which speaks volumes considering his guitar and banjo playing. This album speaks strongly about being different, seeking equality, and feeling betrayed. There are several bits about love, being in love, and of course all the trappings of Appalachian life, homemade wine anyone? 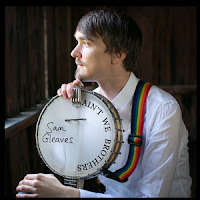 Gleaves wrote a little bit about each song, and he speaks of the courage of people who are willing to live true to their cultures. He is certainly doing that. This album is beautiful and should not be missed. Interview: Sam Gleaves "I'm a Fabu-lachian!"